The Cherokee have been gifted by the Creator with an understanding of the gathering, use and preservation of medicinal herbs. The Cherokee believe that these plants were put on this earth to provide not only healing methods, but preventative measures, as well. Many plants have disappeared throughout the years or have become extremely scarce. Because of this, we recommend extreme care in gathering wild herbs and other plants. The old ones taught that when you gather, only pick or dig every third plant you find. This will ensure that enough specimens remain to continue propagation. Many traditionalists carry on the practice of asking the plant's permission to be gathered, and leave a small gift of thanks. This can be a small bead or other such item. It is also recommended by Cherokee traditionalists that should you find a wild crop of useful herbs, do not share its location unless it is to a person very close to you. This will ensure that large numbers of people do not clean out an entire wild crop in a short time. Additional information regarding the gathering, usage and application of medicinal herbs can be found by talking to the elders of a Cherokee family. Many of these people will still recall some of the home remedies that their families used, as well as provide information on herbs which they themselves use. 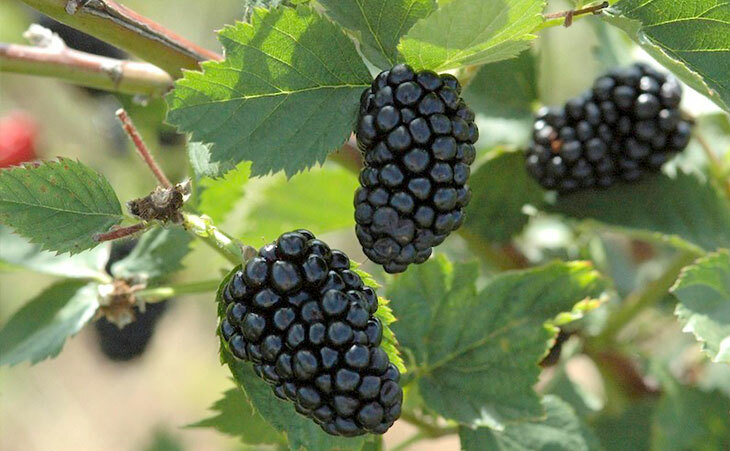 One of the herbs known the longest time for soothing stomach problems is the blackberry. Using a strong tea from the roots is helpful is reducing and soothing swollen tissues and joints. An infusion from the leaves is also used as a tonic for stimulating the entire system. A decoction from the roots, sweetened with sugar or honey, makes a syrup used for an expectorant. It is also healing for sore throats and gums. The leaves can also be chewed fresh to soothe bleeding gums. The Cherokee historically use the tea for curing diarrhea. Cherokee healers use a mild tea made from small pieces of black gum bark and twigs to relieve chest pains. Hummingbird Blossom (Buck Brush) is used by Cherokee healers by making a weak decoction of the roots for a diuretic that stimulates kidney function. Cat Tail (Cattail) is not a healing agent, but is used for preventative medicine. It is an easily digestable food helpful for recovering from illness, as it is bland. Most all parts of the plant, except for the mature leaves and the seed head, are edible. Due to wide-spread growing areas, it is a reliable food source all across America. The root has a very high starch content, and can be gathered at any time. Preparation is very similar to potatoes, and can be mashed, boiled, or even mixed with other foods. The male plant provides a pollen that is a wonderful source for protein. You can add it as a supplement to other kinds of flour when making breads. A decoction of the small roots of Pull Out a Sticker (Greenbriar) is useful as a blood purifier. It is also a mild diuretic. Some healers make a salve from the leaves and bark, mixed with hog lard, and apply to minor sores, scalds and burns. 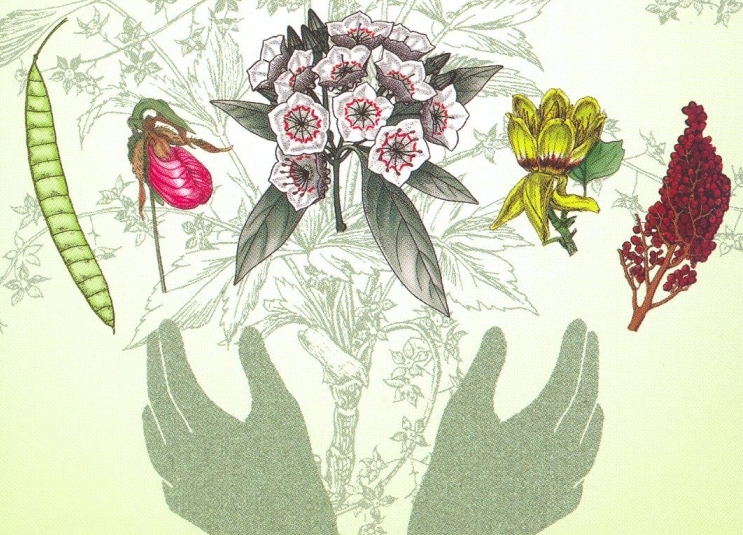 Some Cherokee healers also use the root tea for arthritis. 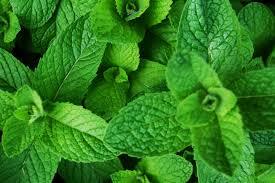 Mint teas are a stimulant for the stomach, as it aids in digestion. The crushed and bruised leaves can be used as a cold compress, made into a salve, or added to the bath water which relieves itching skin. Cherokee healers also use an infusion of the leaves and stems to lower high blood pressure. Mullein is one of the oldest herbs, and some healers recommend inhaling the smoke from smoldering mullein roots and leaves to soothe asthma attacks and chest congestion. The roots can be made into a warm decoction for soaking swollen feet or reducing swelling in joints. It also reduces swelling from inflammation and soothes painful, irritated tissue. It is particularly useful to the mucous membranes. A tea can be made from the flowers for a mild sedative. All parts of Qua lo ga (common Sumac) have a medicinal use. Mild decoctions from the bark can be used as a gargle for sore throats, and may be taken for a remedy for diarrhea. A tea from the leaves and berries also reduces fevers. Fresh bruised leaves and ripe berries are made into a poultice which soothes poison ivy. A drink from the ripened or dried berries makes a pleasant beverage which is a good source of vitamin C.
The Cherokee commonly recommend a mild tea of Big Stretch, or Nuyigala dinadanesgi utana (Wild Ginger) made from the rootstock which is a mild stimulant for the digestive system. It can also help colic, intestinal gas, or the common upset stomach. A strong, hot infusion of the roots can act as an expectorant in eliminating mucus from the lungs. Fresh wild ginger may be substituted for the regular store-bought ginger roots as a spice for cooking. The ripe fruit of What Rabbits Eat, or Jisdu unigisdi (Wild Rose) is a rich source of Vitamin C, and is a reliable preventative and cure for the common cold. The tea from the hips is a mild diuretic, and stimulates the bladder and kidneys. When the infusion of the petals is used, it is an ancient remedy for sore throats. Cherokee healers recommend a decoction of the roots for diarrhea. Squirrel Tail, or Saloli gatoga (Yarrow) has many uses. The best known use is to stop excess bleeding. Freshly crushed leaves can be applied to open wounds or cuts, and the properties of the herb will cause the blood to clot. A fresh juice of yarrow, diluted with spring or distilled water, can halt internal bleeding such as stomach and intestinal disorders. The leaves, prepared as a tea, is believed to stimulate intestinal functions and aid in digestion. It also helps the flow of the kidneys, as well as the gallbladder. A decoction made of the leaves and stems acts as an astringent, and is a wonderful wash for all kinds of skin problems such as acne, chapped hands, and other irritations. Looks Like Coffee, or Kawi Iyusdi (Yellow Dock) is not only a medicinal herb, but also a food. It is much like spinach, but actually contains more vitamins and minerals. Because of the long taproot, it gathers nutrients from deep underground. The leaves are a source of iron, and also have laxative properties. Juices from the stems, prepared in a decoction, can be made into an ointment with beeswax and olive oil, and used for itching, minor sores, diaper rash, and other irritations. Cherokee herbalists prescribe a warm wash made from the decoction of crushed roots for a disinfectant. Juice from the root, not prepared in any certain way, is said to be a cure for ringworm. As always, remember that these plants are very valuable as medicines because of the great chemical powers they contain. At the same time, these chemicals can be potentially dangerous if used in the wrong way. Cherokee herbalists have great experience, and have gone through extensive training and observation. Novice herbal practitioners are advised to seek out and develop a close relationship with Cherokee herbalists or their elders to learn how to use these medicines properly. Information provided by the Cherokee Nation Cultural Resource Center. For information regarding culture and language, please contact: culture@cherokee.org. Responses to "12 of Nature's Most Powerful Medicinal Plants From Traditional Cherokees "
My great great grandmother carried a wooden bowl in her skirts on the Trail of Tears for grinding herbs. I am Cherokee (mix with Scott/Irish), with out my role Number just never got around to getting it. My Grandmothers maiden name was Moon. I to am a Cherokee Irish mix. My Great grand mother was a Cherokee from Tennessee. Hence Her name was Tennessee. My great aunt was the first Born in Texas, My Great Grandmother named Her Texas. My Grand mother used to walk the fields and the Woods gathering Herbs when I was young, wished I would have spent more time with Her learning. My Grand Mother out of all the Daughters looked like a full blood Indian she had the darker skin and the jet black course Indian Hair. I am a heinz 57 and have ultimate gratitude and respect for the people that pass down this type of information to enrich peoples lives. These are the treasures in life that bring us true wealth. Please post more of this type of info. Thanks from gratefulmoon. I am Cherokee, Yuchi, and Choctaw and my grandfather used to take me with him to gather wild plants. Much of what is written here is exactly what he taught me. Ask permission to gather, gather the ones that offer their life and gift the mother plant for giving of her children. If someone comes to you for healing ask to be shown the cure because two people with the same problem would not be the same cure. Also he taught to remember plants that are the same may not have the same strength because of the soil. I hadn't thought about turning mint leaves into a salve. I'm trying to find a salve that includes bloodroot too. Do you know anything about bloodroot? My great-great grandmother taught my great grandmother to prepare and eat wild plantains. That, and a story about Rabbit and Fox are all that got passed to us, unless you count the wisdom that Congress from knowing why people act the way they do. Thank you for this informative article. I am wondering if the capsules sold in Health food stores of some of these things like Yellow Dock and Wild Ginger are effective? I am of both Cherokee and Algonquin decent . I am the 12th Generation Great Granddaughter to Princess Pocahontas , and 13th Generation Great Granddaughter to Chief Powhatan , Father of Pocahontas , of the Algonquin Tribe . My 3rd Generation Great grandmother was full blooded Cherokee off of the 96th District out of South Carolina . I too, am interested in learning the ways of my ancestors . Thank you for the article and pictures. I was hiking this spring on a mountain and came upon a bunch of white flowers blooming amid dried old leaves - googled and learned it was "Bloodroot" and read up on all the traditions about it. That is the good thing of modern times - technology provided me materials to learn about the Native Indian traditions that was once handed down orally by grandparents. All the commentators about lost tradition - do not despair. 'Youngsters' all over the world disconnect with their ancestors ways of life including knowledge of food resources, medicinal sources and folklores. This is especially true these days (India, Japan, China, Africa, Mayas, Native Americans, Aborginals, and so many tribes spread all over the world. I am half Choctaw and half Apache and I am for The Dakota Pipeline !! White man know how to clean water for drinking !! It is call Reverse Osmosis. Why do you set up your great information in white letters on black. Really screws up the print copies. Thank You for the information about the plants. Many of my Elders in the area I live in are using the same plants or a variation of them for healing medicines. There are some here, I have never heard of; but I would imagine that if I mentioned some that we use, it would be the same. Galikilasla ( thank you) for the learning experience.